Floor Zone is the hub of flooring companies in the area. We hire some of the best flooring contractors in the area to install our premium selection of wood, vinyl and carpeting. 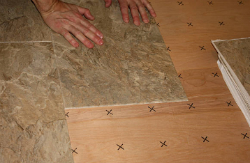 Our trained staff is happy to help you in any way that we can through unbeatable customer service and precision when it comes to the installation, removal and replacement of your home’s flooring. We also help businesses in the area with all their flooring needs. 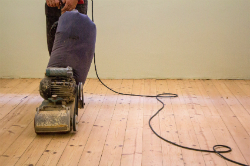 Whether you are looking to install some cost-friendly and low-maintenance flooring such as vinyl flooring or you want to add in some beautiful hardwood floors, we can help your business look its best. Call today to get started. When it comes to choosing the right carpet for your home, it is important that you have a reliable flooring contractor to help you. The right flooring depends on your lifestyle; if you have messy kids and dogs, you’ll want to stray away from the white carpets – we have your back. Our wide selection of carpeting fibers and colors makes it easier than ever to find the right carpet for the right room, all at the right price. Call today to choose your new carpet! If you want the look of beautiful hardwood flooring without the cost, ask us about our laminate and vinyl flooring options. Our Tap & Go Laminate flooring is low-maintenance and looks great in virtually every space of your home or business. We provide a wide range of colors and stains available in our online store. Browse our selection today or call us to schedule an installation. Floor Zone is the flooring contractor to call to professionally install your new hardwood flooring. We offer a wide range of stains and looks to perfectly match your style. Whether you want to install cherry flooring, maple flooring, walnut, ash, mahogany or another style, we are happy to help. Call today to learn more about our hardwood installation and refinishing services.